We’ve been firing up the laboratory recently to see what happens when you mix David Abbott (our newest engineer) + HTTP + ECMA Script with QuickBooks Online. So far, we’ve learned quite a bit — namely Gingers ROCK! And well, attaching documents to QuickBooks Online is fun. This is David telling us about his QuickBooks Online adventures. 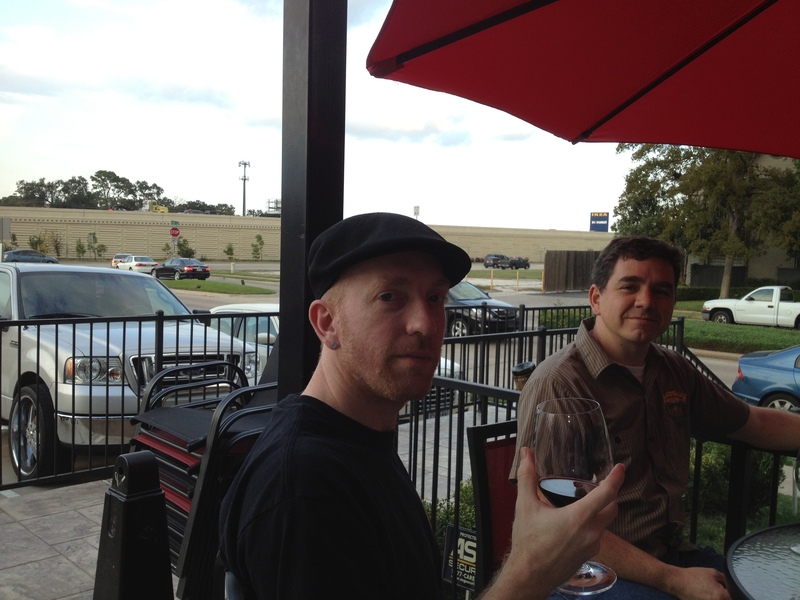 A toast to our coolest new integration! 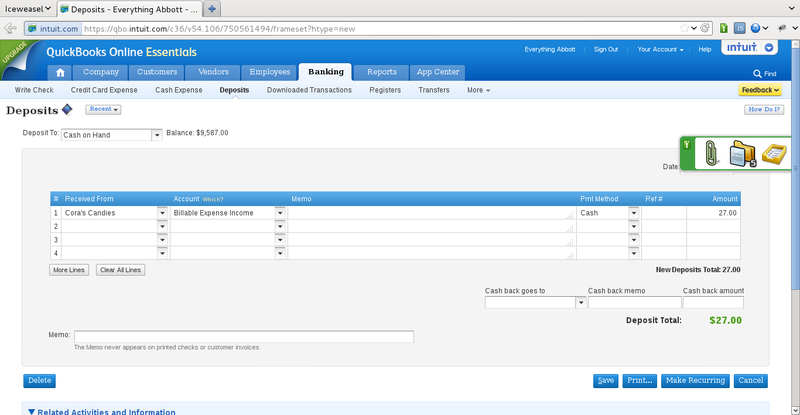 Here is a snapshot of the SmartVault Toolbar inside of QuickBooks Online. 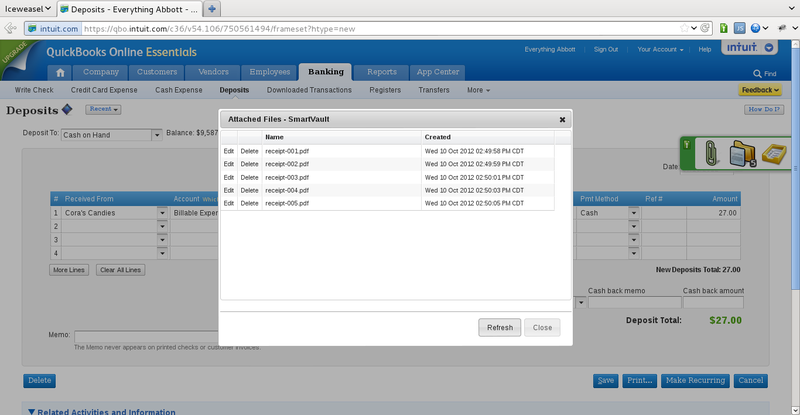 Here is a couple of quick snapshot of documents being attached & uploaded to SmartVault in QuickBooks Online. We’re super excited to bring SmartVault’s awesome user experience to the online world. Stay tuned for more information about the final product. What really has us excited is the extension kit we’ve developed here. This is going to make it super easy for us to add SmartVault to loads of web based applications. We would love to hear from you about any integrations that might interest you.